Nehru Place and all that Jazz! For all those even passively associated with IT in India, I don’t have to take the trouble of explaining what “Nehru Place” is. 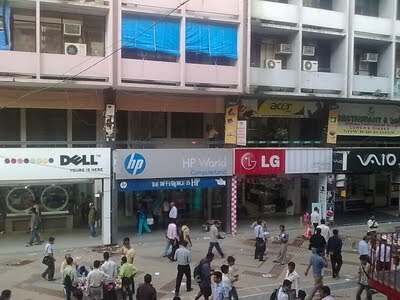 For the uninitiated, Nehru Place located at the south of Delhi is at the heart of IT Hardware trading activity in Delhi. This is the IT Hardware hub where Jawaharlal Nehru the 1st Prime Minister of India has been immortalized amidst buying and selling of IT Hardware products worth crores of Rupees or millions of dollars every day. For a Delhi’ite looking for anything ‘remotely connected with a computing device’ this is the place to take his Metro ride. They say it is the Asia’s biggest IT market – whether it is in terms of area size or volumes transacted, I do not know. As a market, to the consumer it provides all that she wants as far as her IT needs are concerned in one place and at prices cheaper than anywhere else. For any brand worth its salt, no presence in Nehru place means no presence at all. What happens in Nehru Place is an indication of what happens in Delhi or for that matter in North India. So it is not surprising for many involved in the IT sales in Delhi to start and end their day at Nehru Place. For visitors from IT MNCs, the Raison d’être of their business trips to Delhi is not complete without a visit to Nehru Place. 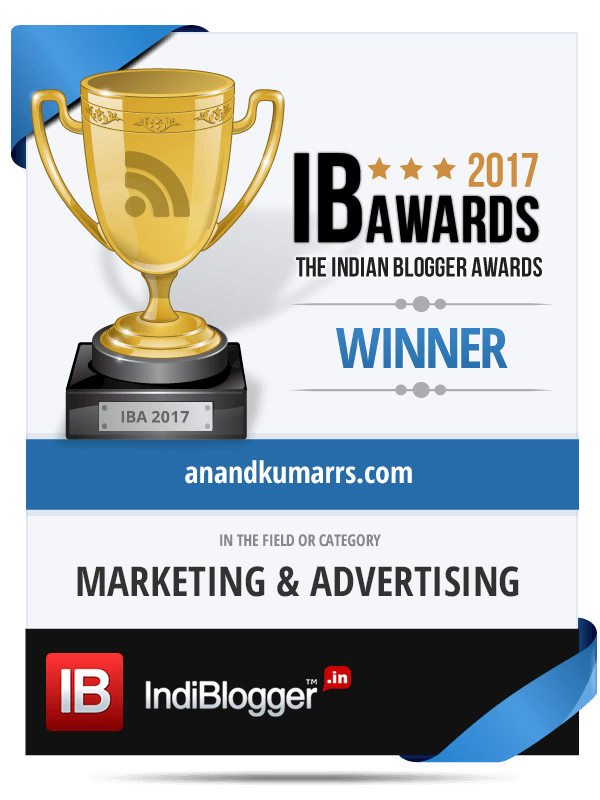 For, in the alleys, by lanes, shops and the open streets of the so-called IT market they get an opportunity to read the Indian consumer’s mind – whether they read it correctly or not is a different question. Lamington Road for Mumbai is Nehru Place to Delhi. Lord Lamington after whom this area is named would not have imagined when he was the Governor of Mumbai century and few years ago, that his name will be in the lips and heart of so many IT sales professionals in India. Though Lamington Road was decolonized and named officially as Dr.Dadasaheb Bhadkamkar Marg, I wonder if anybody can relate to this!!! Bhadkamkar Marg, anyone ? Similarly Chennai has the Ritchie Street and Bengaluru has got its own SP Road and Kolkata – a G.C Avenue. Not to forget Hyderabad’s very own CTC. Since one can confidently find the part or the component or the product in SP Road it is also called the “Spare Parts” road!!! In Chennai and Bengaluru when an IT sales person says “market is down today” don’t get it wrong. He is not referring to the Stock market or the bullion market but he is talking about the vagaries of the IT market! For people outside the IT hardware trade it will be interesting to note that resellers in the market are competitors among themselves as well as collaborators. In the sense, while they are wholesalers for some products and distribute through other resellers, they are resellers for other products which they buy from next door wholesalers. There is a healthy “give and take” and “co-operation in competition”. All the resellers in these markets are organised under an umbrella association which takes care of their common issues. They are all connected through local telephone exchanges and in short well networked. While respective IT markets in all the cities are embodiment of entrepreneurial enterprise, what is strikingly common is also the pitiable condition of the so-called IT hubs which hawk sophisticated, Hi tech equipment day in and day out! The apathy starts from the parking lots where the only option you have is to leave your vehicle and then the keys at the mercy of boys who are wannabe FI car racers! And then to reach the shops which are called retail outlets, you have to pass through alleys which are nothing but makeshift warehouses by the day with products being stacked in the stair cases, alleys and wherever. The so-called outlets barring a recent few which have come up of late are antonyms of retail experience. Retail experience which is all about displays, touch, feel and experience will have to redefine itself in our IT markets. As a consumer you are expected to see, touch and feel the product somewhere else or over the internet and come to these markets for just getting the lowest price and complete the transaction. In these dingy markets, red is the house colour. Paan stained walls, corners, lifts, toilet commodes, urinals, wash basins and floors make you wonder if this is a “Paan” India phenomenon! I personally had the experience in Lamington Road of sitting through one full meeting under nauseating circumstances thanks to a toilet around the corner. I couldn’t help pitying the people who were spending time day in day out working there. These days “foot fall” is a very popular term which you can hear in these markets. When the foot fall is low in the market, the mood in the market is down completely and that is the good day for having constructive meetings with the resellers. Road Shows here are actually shows on the road side! In these IT markets you can see the sight of road side vendors doing refilling of Ink cartridges, toners,.. and I’m told that this is a sight only few countries can showcase today. The sight of young boys carrying out this Toner refilling activity on the road side without proper masks, protective gear and without a setup is appalling. That this toner powder is carcinogenic and can spread cancer is a fact few shop keepers or the boys or for that matter consumers who come there for refilling know and care about. For long it has been my urge to see the IT markets in Indian cities organised like a Sim Lim Square or a Funan mall in Singapore or atleast a Low Yat Plaza in KL. 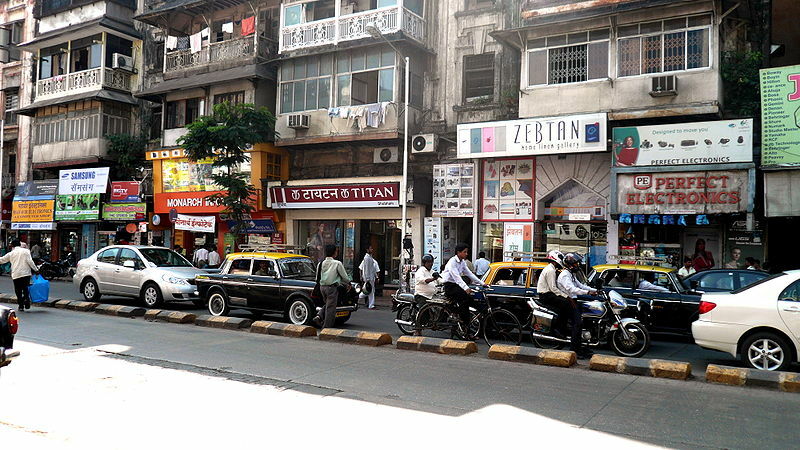 The attempts in the past by some to develop such markets in Mumbai and Delhi have been nonstarters. The reason is the possible escalation of costs for the resellers which in turn will make them lose their competitive edge in terms of price which is their sole weapon to sell today. The moot question is as consumers are we ready to pay a few bucks higher for a better shopping experience? This Nehru Place market has now the dubious distinction of receiving a new certificate of commemoration. A US Government department known as U.S Trade Representative (USTR) has recently published a world wide list of markets that have been blacklisted for trading in highest number of pirated goods. This list is being called as ‘ Out-of-Cycle Review of Notorious Markets,December 20, 2011′. This list includes, along with 14 other famous markets, Nehru Place IT market also!!! The “Punch”ing of Bollywood !!! The original “Khiladi” of Bollywood, Akshay Kumar plays the role of an honest cop and as a lookalike – a petty thief in his latest Hindi venture “Rowdy Rathore”. This movie I hear is among the Rs 100 Cr (US$20mn) grosser club. The highlight of the film they say are the dialogues particularly the one liner variety, one of which goes like this: “Jo mein bolta hoon woh mein karta hoon, joh mein nahi bolta.. woh main definitely karta hoon!” Hearing this, I couldn’t help feeling that the Hindi cinema or Bollywood as it is called affectionately has been hit by a Tsunami from South. 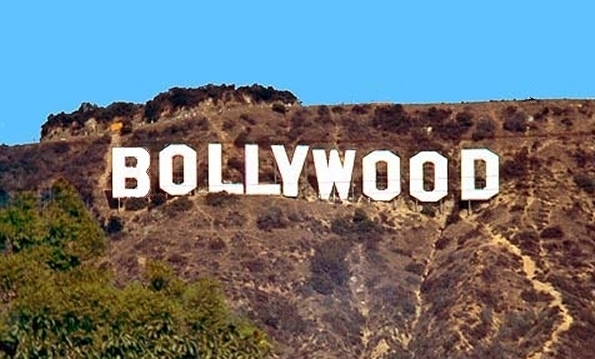 There was a time may be in the 60s and 70s when Hindi Cinema was setting the trends in film making in India whether it was storytelling, filming techniques or for that matter music. The stories of siblings separated at birth, Cop and thief under the same roof, Robin Hood type heroes,.. and many more of that ilk which all originated in Hindi made its way to South Indian cinema as well. I guess then came a time in the 80s where there was a flow of ideas in reverse with quite a few Tamil / Telugu movies being re-made in Hindi. For some reason, Anil Kapoor was a fixed ingredient in this type of rehashes. However a point to be noted is when these movies were re-made they were done by popular Hindi film makers and they re-packaged the movies with Hindi sensibilities in mind. Brilliant film makers from the South still considered Bollywood as an alien turf and were happy to just be in their own space – whether it was Tamil/ Malayalam or Telugu . But slowly and steadily film makers like Maniratnam, Priyadarshan, Kamalhaasan and their types started breaking the doors of Hindi cinema by themselves and started getting noticed. While Mani and Kamal would try to straddle both the Tamil and Hindi worlds with a fine balance, Priyan would just re-cook popular south hits in Hindi with North India spices. This trend opened the doors for technicians (cinematographers, Music directors, Editors, Sound engineers,.. ) from the south to step into Bollywood and earn their place under the Mumbai sun. Thereby, north of the Vindyas got to hear a A.R Rahman, see the world through a Santosh Sivan and dance to the beats of a Prabhu Deva. And Prabhu Deva would soon turn a director and make himself a most “Wanted” commodity in Bollywood. The difference between other makers from the south who made an impact in Hindi and Prabhu Deva I reckon is that his movies are no doubt Hindi movies but made with the south sensibilities intact. Now defining these so-called south sensibilities is a bit tough one for me but I would presume most people understand where I come from and let us call it the “South way” of film making. And one of the key elements of this South way is the “Punch” dialogue. In the 90s, when Rajnikant was just a Tamil or at the most a South phenomenon (unlike today where even a reigning Bollywood Badshah like SRK has to co-opt the now Superstar Rajnikant for a cameo in his Sci-fi Superhero film Ra-One to spread its market beyond the Hindi belt) he started the trend of what is now called the “Punch” dialogues” in Tamil/Telugu film industry. In a movie named “Baasha” released as early as 1995, in which Rajni plays the role of a Mumbai Don partially and an Auto rickshaw driver partially – one of his dialogues “Naan oru dhadavai sonna, nooru dhadavai sonna madhiri” (When I tell once it is same as telling 100 times) attained iconic status and in an industry which just is happy to follow trends rather than setting one, the “Punch dialogue” as an essential part of the South way arrived. The delivery of a punch dialogue happens like this. The villain or some such people provokes our hero, our hero pauses, lifts his right hand and his 1st finger ( with a swoosh), camera gets into tight close-up of the hero’s face and the hero delivers that dialogue which packs a 100 punches! Soon after he turns and walks away (in slow motion of course) followed by his troopers!!! And this dialogue gets repeated few times in the movie to add to the punch! Post this movie “Baasha”, Rajni would later follow it up with similar one liners which became a rage among his fans so much so that Director Shankar had to explain why he did away with punch dialogues for Rajni in his last movie Robot!!. Emulating the Super star, his contemporaries like Vijayakanth and much younger heroes like Vijay are continuing the trend of these dialogues to this date. It was not too late for the trend to catch up in other southern language movies like Telugu or Malayalam. So when Prabhu Deva got the opportunity to make a Hindi film that too with the original Hindi brawn hero Salman Khan, he got into the act with a fully blown South type masala pot boiler with “Punch Dialogues” thrown in good measure. It went on to become a top grosser at the Box office re-writing records and along the side making writers re-write their lines for future action films in Hindi!!! So while PD earned the distinction of bringing the “PD” into Hindi movie, what came as a surprise was Rohit Shetty an acclaimed “Copy and Paste” film maker took the punch dialogue and the South way into another level with his action flick “Singham” with Ajay Devgn and with this ensured that South way is here to stay in Bollywood. After Salman and Ajay, when Akshay turned towards Prabhu Deva for a desperate hit and when a sensitive film maker like Sanjay Leela Bhansali puts his money on the same, well I cannot help but conclude that the South Tsunami has hit Bollywood !!! And if I tell you that the punch dialogue which I had referred in the opening paragraph was part of Rajni’s super hit movie “Annamalai” of 1992, you will agree with me that the “Punch”ing of Bollywood is complete!!!! And now imagine what will happen if Prabhu Deva gets a chance to make a Hollywood film and makes a Will Smith deliver that Punch Dialogue !!! Post punch oops script : As I was just writing this blog, I realized that the original punch dialogue was actually from a Hindi movie called “Don” made in the year 1978 which has transcended generations, actors, directors and still continues to pack a lot of punch!